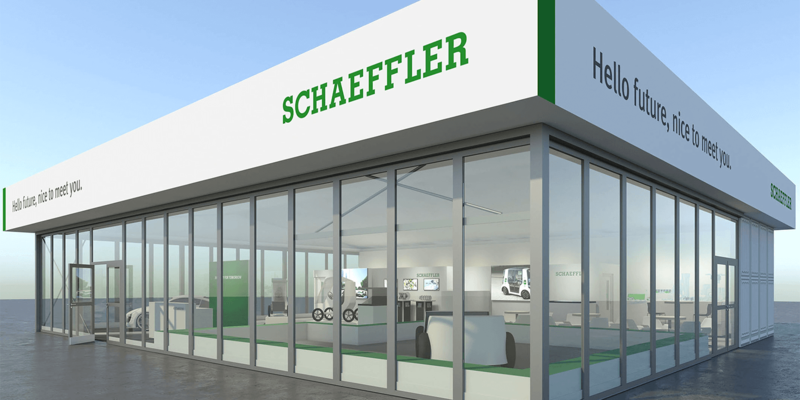 Supplier Schaeffler increasingly feels at home as an e-mobility developer and announces that it will present three concept vehicles at the CES in Las Vegas in January 2019 – including a near-production version of a LEV by their so-called Bio-Hybrid unit. 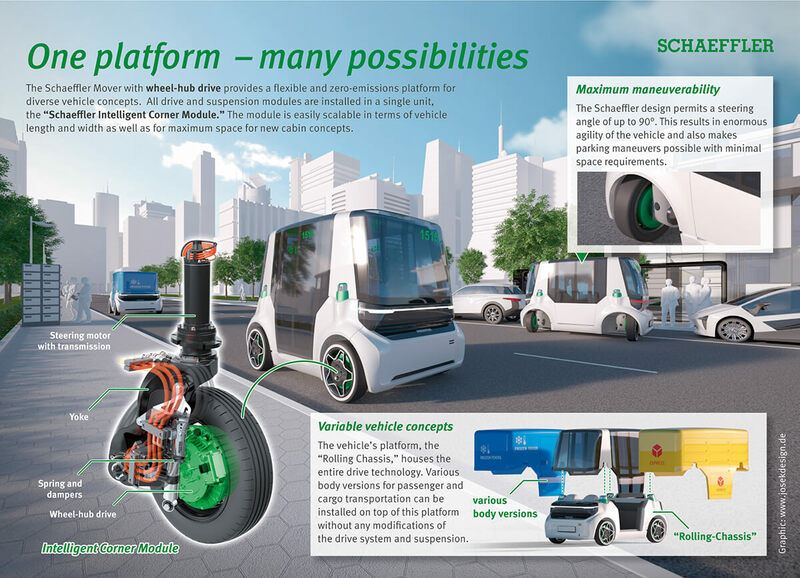 Schaeffler has given itself a future program called “Agenda 4 plus One” with which the company wants to distinguish itself in the fields of e-mobility, digitization and industry 4.0. One should take note of these concept vehicles that are set to enjoy the limelight in Las Vegas in less than a month. 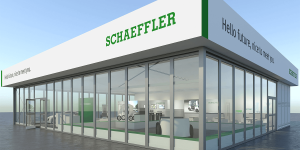 For the first time, Schaeffler Bio-Hybrid GmbH, a member of the Schaeffler Group, is publicly presenting a narrow four-wheeled vehicle that is described as being a near-production bio-hybrid. Bio hybrid symbolises the pedal-assist drive any e-bike has as well. Schaeffler’s LEV however has four wheels. Still, it is hardly wider than a bicycle (and can be used on a cycle path), but its roof and windshield make it quite weatherproof. The electric drive can move up to a speed of 25 kph – just like a pedelec. 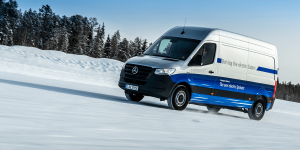 According to Schaeffler, the Cargo and Passenger versions of the model will hit the market in 2020. 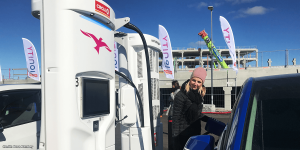 In Las Vegas, the company will also be showing the Mover, an urban vehicle prototype with electric drive designed completely for autonomous operation that was unveiled in spring. 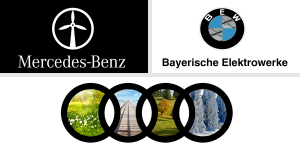 It will serve as a foundation for future urban mobility concepts such as self-driving cabs and a new generation of passenger and delivery vehicles. 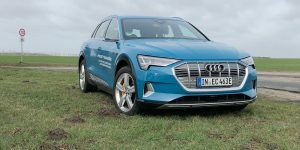 Schaeffler finally brought the 4ePerformance electric car up to speed for those who like to move at a faster pace. 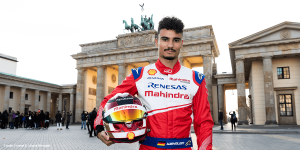 The super sports car combines the modified body of an Audi A3 with a drive concept borrowed from Formula E. The concept car, which was unveiled for the first time at the end of May, is the first of its kind in Schaeffler’s 4ePerformance series and boasts no less than 880 kW. Hi, I’m Martin Torres from Mexico.